I've had a really rough week, okay? 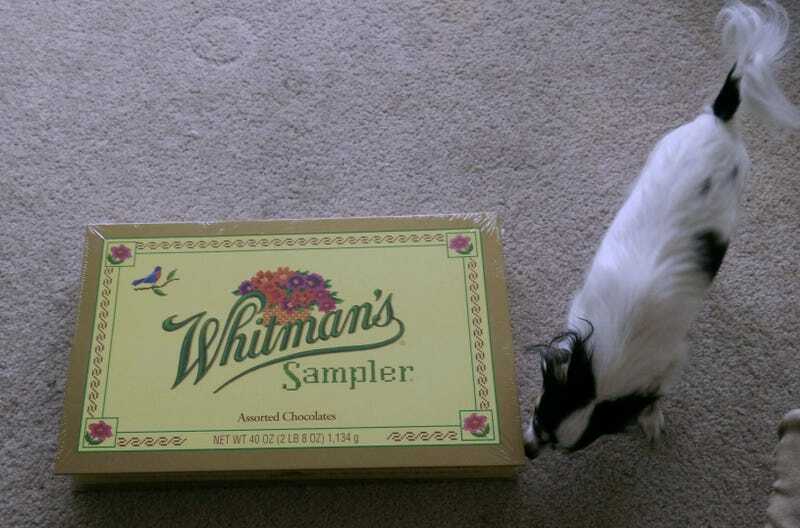 Don’t judge me and my comically large box of chocolates! I just left the post office after a very pointless argument with the clerk over the mailing address to the IRS and stopped by CVS for some envelopes. This box made me laugh, so I bought it. The chocolate is mostly going into the freezer or to work for my coworkers. But I’m keeping that box because it cheered me up just by being ridiculous. Little Dude certainly doesn’t mind. It’s his new best friend.